JERSEY CITY, N.J. – Under crystal clear summer skies, nearly 400 excited guests gathered at Madox on a recent Saturday afternoon to kick off Yelp’s Passport to Paulus Hook, a week-long event celebrating all that makes this historic Jersey City neighborhood so diverse and unique. Held on the expansive outdoor rooftop at the upscale rental building, the special party drew hundreds of residents and visitors from Jersey City and beyond eager to experience the Paulus Hook community and enjoy delights from some of New Jersey’s finest restaurants, breweries, bakeries and more. These local vendors joined with national brand name food and cocktail beverages to encourage guests to eat, drink, and shop locally. Attendees of the event left incredible impressed. 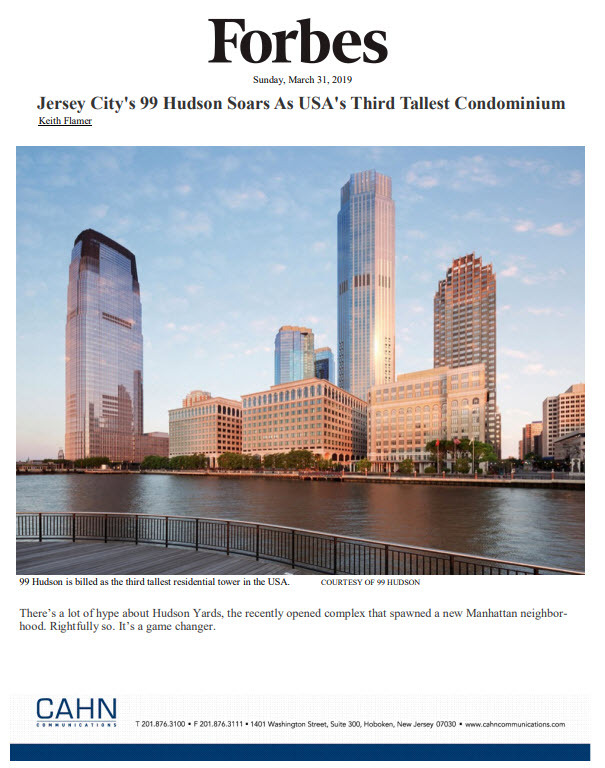 Just hours after its completion, nearly 40 users flocked to the popular Yelp website to post overwhelmingly positive reviews of the kick-off party, the Madox building and the Paulus Hook neighborhood. Among the many well-known vendors on hand were Carlos’ Bakery, VB3, Golden Krust Bakery, Empanada Mania, White Star Harbor, Marker’s Restaurant and the Iron Monkey. Beer enthusiasts enjoyed a selection of local New Jersey brews from New Jersey Beer Company, Climax Brewing and East Coast Beer. Familiar brands including Tito’s Vodka, Senor Sangria, Spodee Wine, Pretzel Chips and Kind Bars will also be highlighted. A professional DJ enhanced the fun-filled social environment. 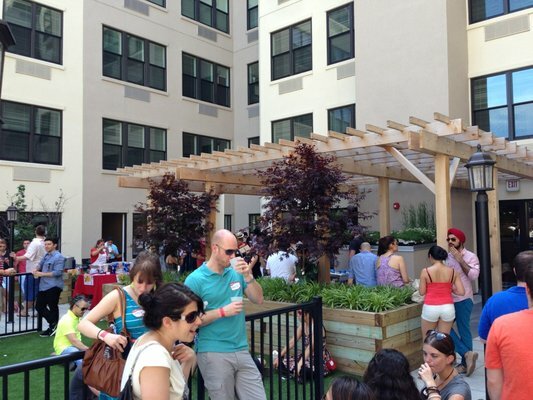 The kick-off event also raised money for the Historic Paulus Hook Association (HPHA). Located at 198 Van Vorst Street, Madox is a collection of 131 upscale apartments created in a LEED® Silver certified seven-story building which boasts an eye-pleasing multi-toned brick and steel exterior façade that blends perfectly with the existing streetscape of classic brownstones and provides magnificent views of the Statue of Liberty and Manhattan skyline. Inside, residents find homes lined with fine appointments and magnificent amenities. Interiors boast custom hardwood floors, 9 foot ceilings, washer/dryer in every home, and master baths with custom vanities and tile. Gourmet kitchens will feature custom 42” cabinetry, stainless steel appliances, gas cooking, Caesarstone countertops, tile floor and backsplash, and designer lighting and fixtures. 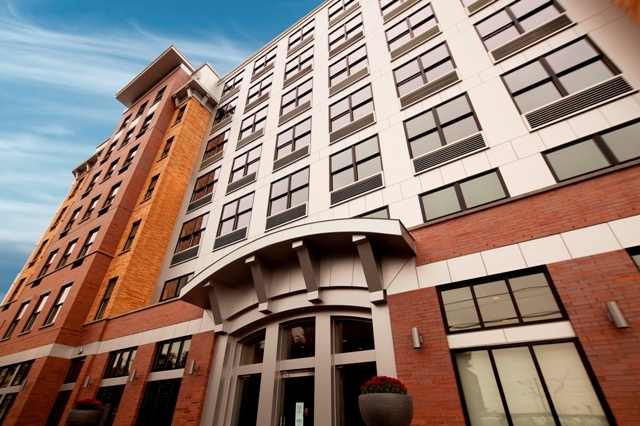 For additional information on Madox, please call (888) 789-0758 or visit www.madoxapts.com. Locally-based Fields Development Group is the developer of Madox.